Have you ever eaten green soybeans? 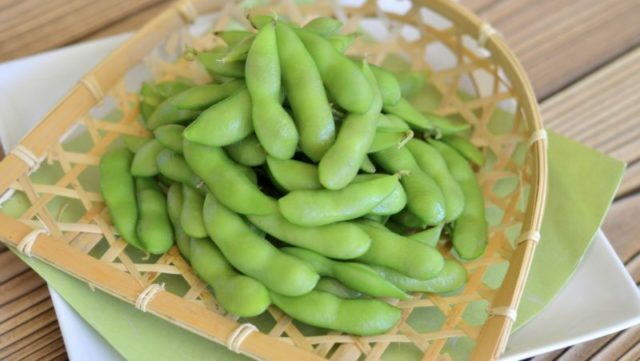 Green soybeans are very familiar food to Japanese people. We call it “Edamame” in Japanese. Let me tell you how we eat green soybeans or Edamame. We commonly eat Edamame at Izakaya or in Japanese style pubs. Edamame goes well with alcohol especially with beer, so we often eat Edamame with beer. Just boil or steam the pods and add some salt. When eating Edamame, we pop them into our mouth. The pods are just a little salty on the surface but very rich in flavor on the inside. The combination of Edamame and beer is perfect. 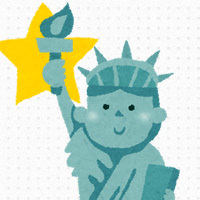 In addition, Edamame is a very good snack for children. Edamame contains a lot of nutrients such as vitamins, calcium, dietary fiber, and so on. Therefore, Edamame is much healthier than junk food. I often ate Edamame during summer when I was a child. I guess that every kid in Japan likes Edamame very much. Finally, Edamame is also used to make some Japanese sweets. The most common ingredient of japanese sweets is “Anko” or red bean paste. On the other hand, green soybeans paste is also popular. We call it “Zunda” in Japanese. The color of Anko is red and that of Zunda is green. Green Japanese sweets which use Zunda are very beautiful. 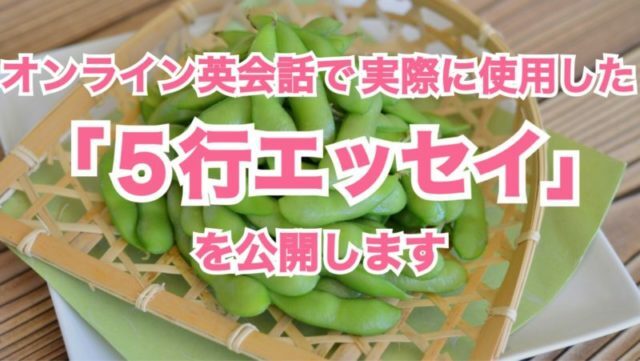 In conclusion, Edamame is very important food for Japanese people. Edamame is loved by all generations. I recommend you to try this representative seasonal food of summer in Japan.